After becoming Miss Belgium, Anne Started as a TV-Host with the Commercial TV Station VTM. Anne has presented more than 15 different television programs, all ranging from game shows to talk shows and music programs. She has worked with renowned artists as Julio Iglesias, Eros Ramazotti, the Bee Gees, Craig David and many many others. In 2009 Anne made a transition to politics. She stood in the Flemish elections in 2009 for List Dedecker in the province of Flemish Brabant. She received 8,103 votes, the highest number in its constituency for Flemish Brabant List Dedecker. However, she was not elected. With this score, she became part of the top 20 candidates with the most votes in Flemish Brabant. After this short stint in politics, Anne moved on to creating presentations for large companies. 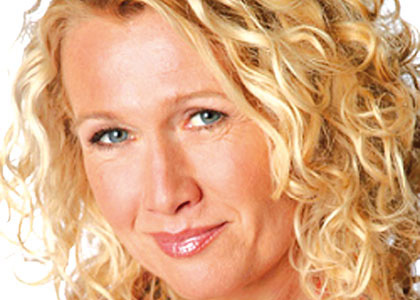 Next to TV-work in Belgium, Anne presents yearly around 50 events throughout the world. Companies like Bayer, Samsonite, Esso, Sony, Renault, Volvo, Coca-Cola, Beiersdorf, Nike, Dunlop, Puratos, Grohe, Microsoft and many others, have all called upon Anne to host their event in a very professional and multilingual way. During these last few years, Anne has hosted many different Awards Ceremonies: EIBTM Awards, Effies Awards, Euro-Effies, Insurance Awards, World Mail Awards, IPE Awards etc.